This 52 year old man broke his clavicle when he fell from a motorcycle. He was treated overseas with a plate and wiring, but was referred to my office 4 months after the surgery because he continued to have pain that was waking him up at night and limited motion of his shoulder. 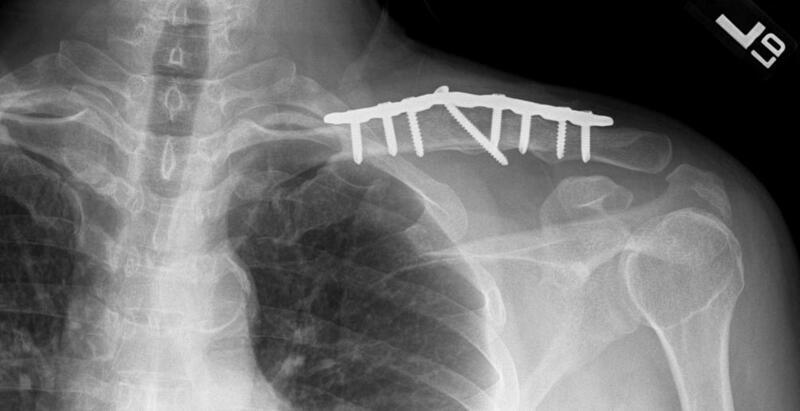 This x-ray shows that the original plate had loosened and the fracture site was no longer stable. This patient’s nonunion was treated by removing the existing plate and implanting a new plate with bone graft to stimulate healing. 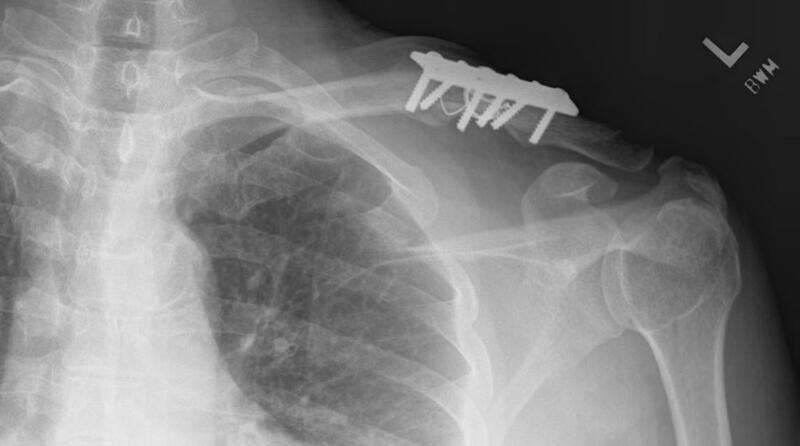 This x-ray taken 8 months later shows solid healing of the clavicle. The patient had no pain and full motion in his shoulder.